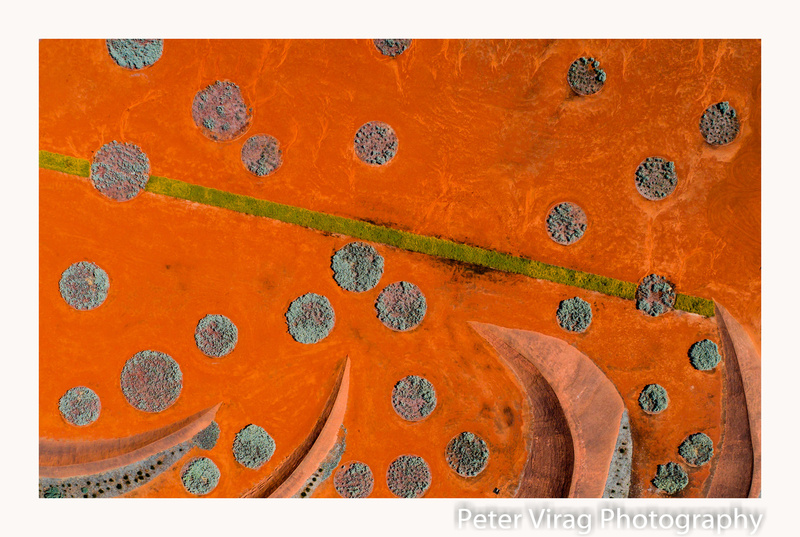 Aerial shot (taken at an altitude of 120 metres with a drone) of the interesting patterns of the Red Sand Garden at the Royal Botanic Gardens in Cranbourne.The journey through the Australian Garden starts with the Sand Garden where the expanse of red sand contrasts with grey foliage. On the northern hill, mass plantings of Acacia binervia and the Spinifex sericeus are used to stabilise the sandhills.The lower slopes are covered by a carpet of muntries (Kunzea pomifera), fruit used by Aborigines. I lived in Melbourne for a very long time, and I had no idea this was there. Thx William. This is at the Cranbourne Botanic Gardens.